Who won those battles? Supercars.com crunches the numbers based on what they achieved in the championship, race finishes and raw pace in ARMOR ALL Qualifying. After we looked at Walkinshaw Andretti United, Brad Jones Racing, Nissan Motorsport and Garry Rogers Motorsport, we cover 2018's top four teams in Part 2. The numbers here read largely as you would expect with an established and rapid David Reynolds pitted against a rookie in Anton De Pasquale. Reynolds did the lion's share of the scoring as De Pasquale worked his way into Supercars and Erebus claimed a best of fourth in the teams' championship. 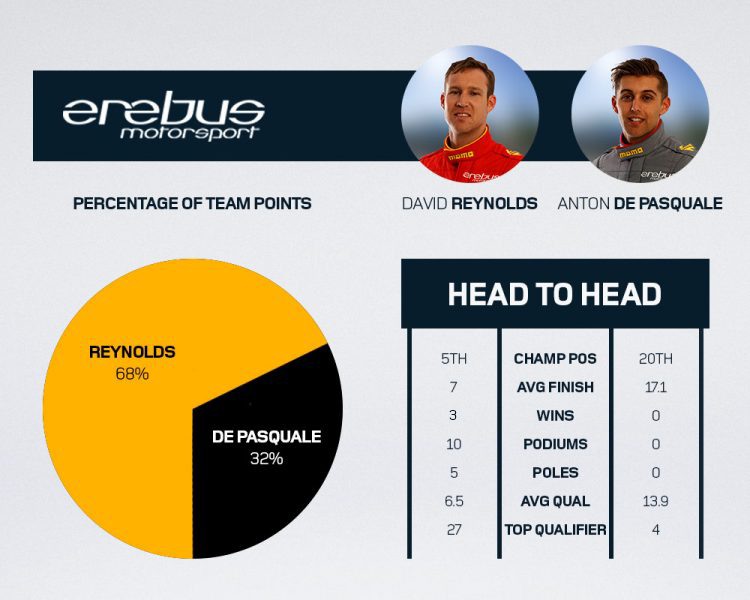 In measuring the points scored by a driver against a team-mate, the Reynolds versus De Pasquale comparison is one of the most one-sided in the field. But there were more than enough signs from De Pasquale that he'll close the gap in 2019. De Pasquale's qualifying average of 13.9 is better than respectable and headlined by third at Hidden Valley and then Bathurst. 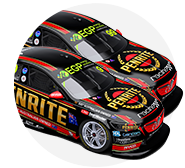 He also became the first Erebus team-mate of Reynolds to out-qualify him, at Winton, in a rookie campaign that showed plenty of promise. 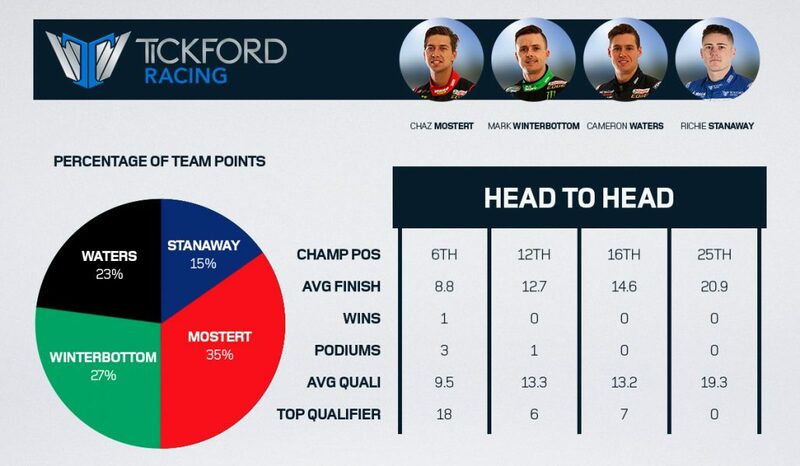 Chaz Mostert was the shining light in a difficult season for Tickford Racing. In 2017, he was among three of the team's drivers to finish the season in the top 10 in the championship - 12 months later he was alone. 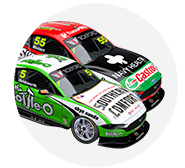 Mostert claimed Tickford's only win and three of its four podiums, Mark Winterbottom grabbing the other at Barbagallo Raceway. As you would expect, Mostert leads the way on the key stats, while Winterbottom and Cameron Waters were closely matched behind him. 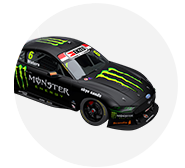 Waters had the slight edge, while Richie Stanaway endured a tough rookie campaign and has now parted ways with the team. 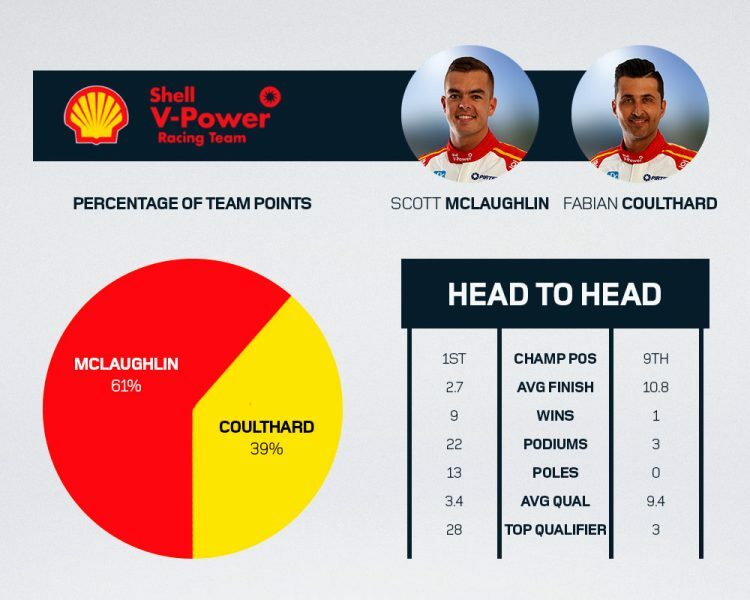 Both Shell V-Power Racing drivers were in the title fight until the end of the 2017 season, but it was one-way traffic in '18. 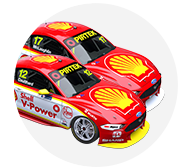 Scott McLaughlin ruled the roost in his second season with the squad, leaving Fabian Coulthard largely in the shade. Coulthard was rarely a factor, team boss Ryan Story suggesting late in the year that a shift in set-up philosophy was not kind to his driving style. While McLaughlin took a maiden crown, Coulthard had to settle for a single victory, at Winton, and ninth in the standings. A second was on the cards on the Gold Coast with Tony D'Alberto, but the pair were sacrificed during the first pitstops to help McLaughlin's title bid. As the above shows, McLaughlin dominated every key stat, generally comfortably, and Coulthard finished the year having scored 62.8% of the points McLaughlin managed. Only Tim Blanchard, Simona De Silvestro and Stanaway against their teams' top scorers and De Pasquale against Reynolds at Erebus fared worse. 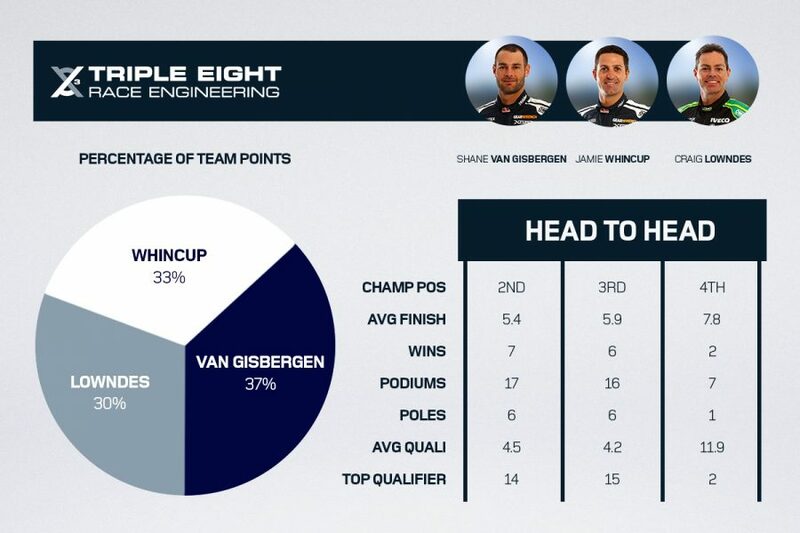 Shane van Gisbergen and Jamie Whincup were closer than the 440 points between them in the championship would have you believe. 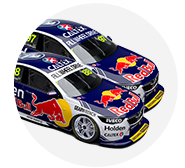 Both drivers were affected by niggling mechanical problems during the year, but a gearbox failure in Adelaide and losing a wheel at Bathurst were particularly costly for Whincup's title defence. 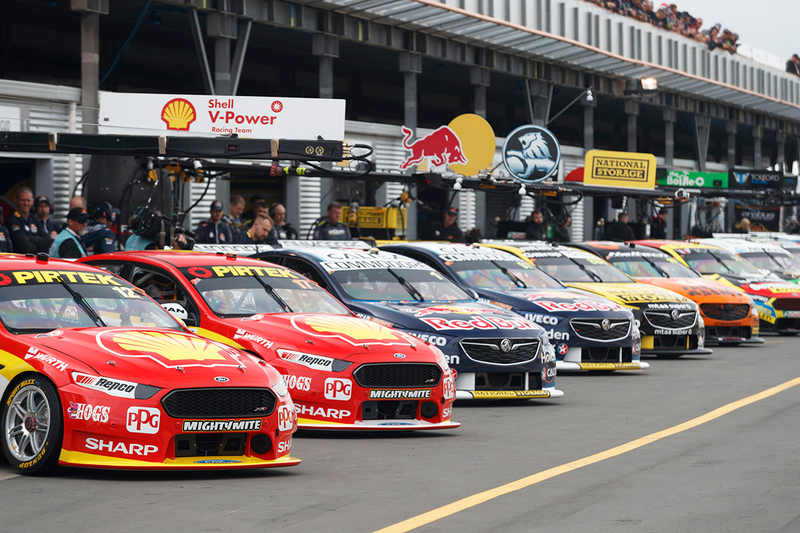 It was Whincup who finished the year with the better of van Gisbergen by a tiny margin in qualifying, but a slightly more consistent van Gisbergen won out come the races. Craig Lowndes, meanwhile, was cut adrift over a single lap, but was typically much closer in the races. 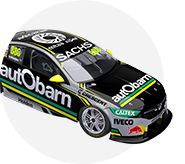 The rejuvenated Lowndes was actually ahead of Whincup in the points when his retirement was announced in Townsville and then only 10 points behind leaving the Gold Coast.